Buying a subscription as a gift is a fantastic idea. The lucky recipient can enjoy months of entertainment from their favorite weekly or monthly magazine. Can I give them something to tell them about their subscription? We know you will want to give your recipient something on that special day, so why not create and print off your own e-Card. A e-Card tells your recipient exactly what you have bought them, along with a visual of your chosen magazine, and you can add a personal message. Click on this sample e-Card to see how to create a e-Card. Creating your own e-Card is easy. Once you have bought your magazine subscription simply log into your account and view the details of your order. You will see a link which says "Print an e-Card". Click on this link and you will see your eCard ready for you to add your personal message. 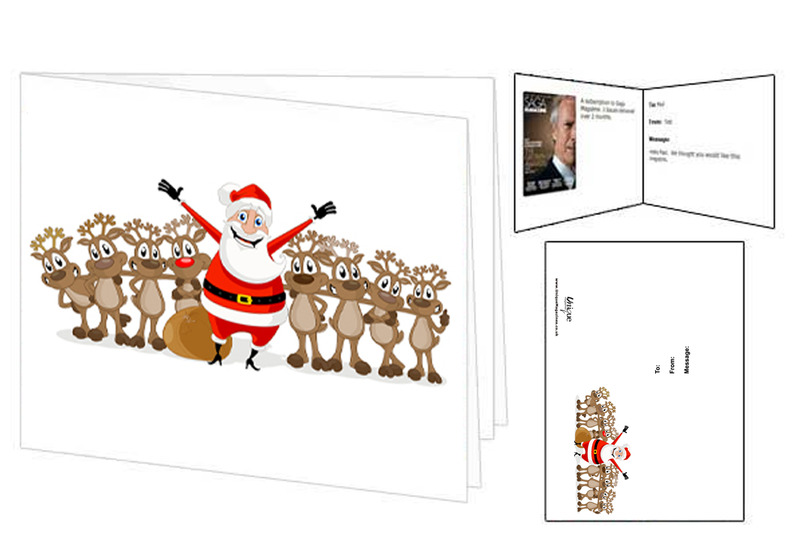 Then just print it off, pop it in a card and give it to your recipient.